Google Maps, you need to step up. Occasionally navigating me to the back side of Walmart is manageable, but putting me on a spot (Rich Mountain Road : F744), back side of the water falls, where there is no potential trail and telling me to walk the reminder of the way, not cool :) Luckily, I was able to assess and get to the Hwy 28S and located the trail head. I generally love waterfalls, but some are just really enchanting. 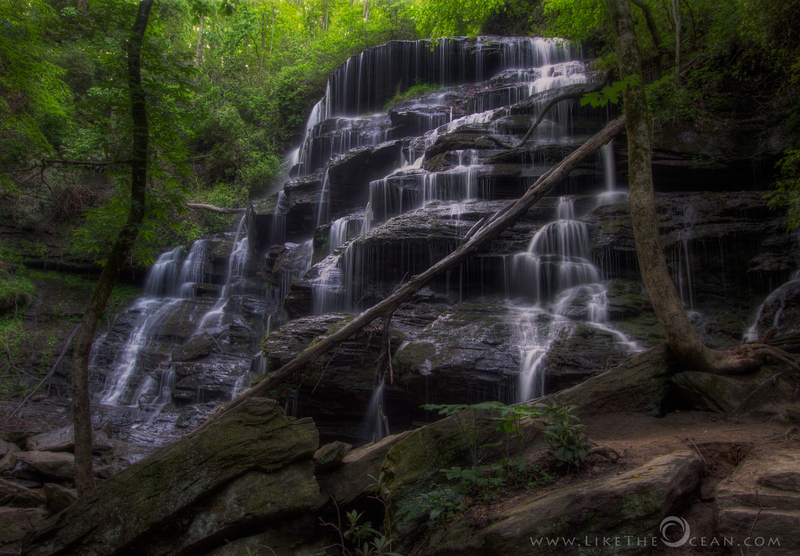 This is one of them – Yellow Branch Falls ! The hike to Yellow Branch Falls is a backtrack hike over moderate terrain that ends at a beautiful waterfall with many individual cascades. Give enough time to get to the falls with regular breaks and u can call this an easy & fun hike.